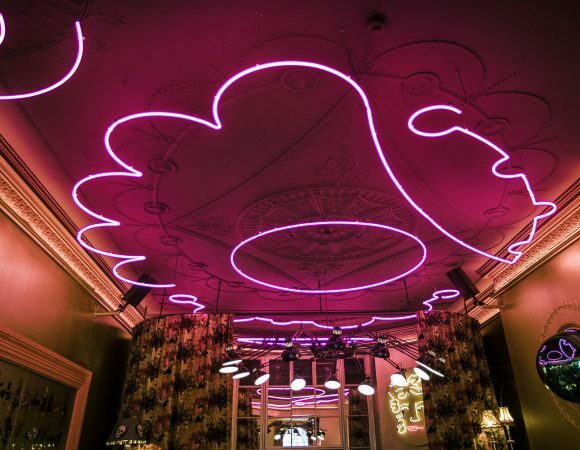 Instagram spilleth over with photos of Sketch London from those lucky enough to have experienced the Mayfair restaurant and venue. 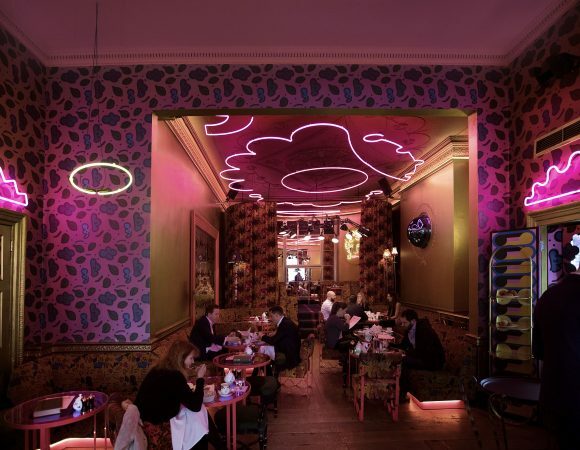 From its playful pink dining room to the futuristic egg-shaped pods in the bathroom, it’s one of the capital’s quirkiest and most recognisable hotspots. 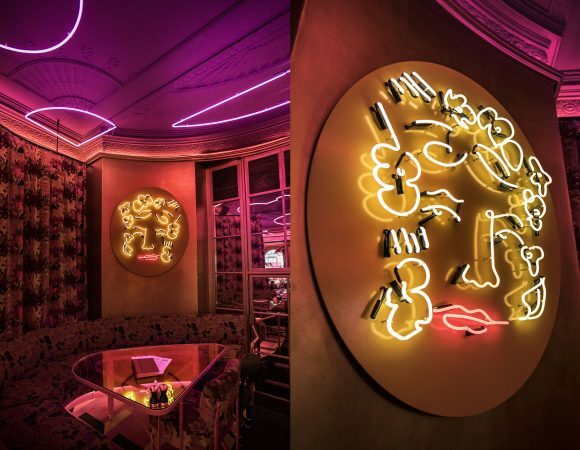 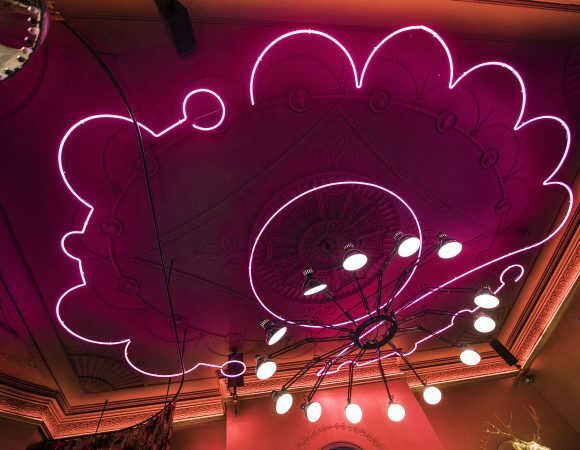 Kemp London was enlisted by Sketch to come up with illuminated decor for the newly refurbished dining room and bars. 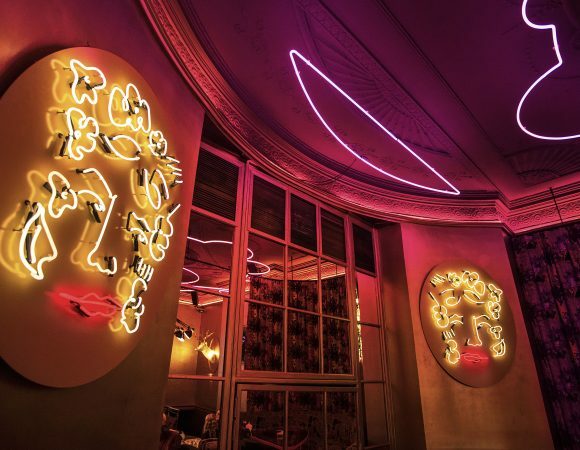 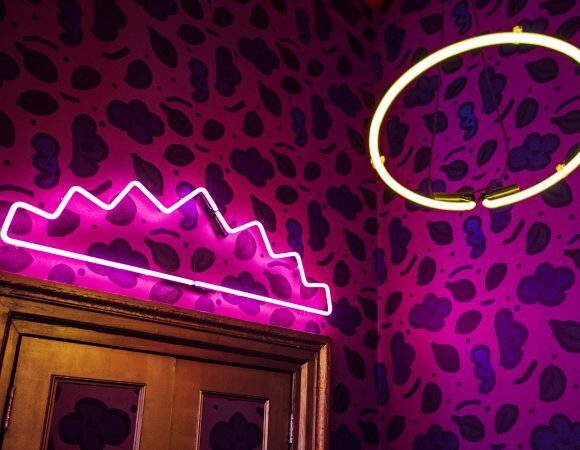 These eye-catching neon pieces were mounted on the ceilings and walls and are now a key feature of Sketch’s newly-refurbished interior of the dining area.